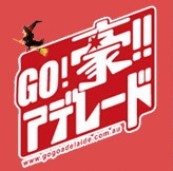 Registrations are open for our AnimeGO! short film competition with the first prize being a trip to JAPAN! Do you have what it takes? Create a short animated film with this year's theme of 'Hachiko'. Last year's judging panel featured representatives from all three South Australian universities as well as Joseph Mitchell, OzAsia Festival Artistic Director. Competition closes 31 August 2019 with the winner to be announced at our event in October. Join JAFA for a day filled with local wines, food and fun on our Barossa Winery Bus Tour! This is a full-day tour, and will be returning to the CBD at approximately 6pm the same day. The tour includes private bus pick-up from Adelaide CBD, wine tastings and a BBQ lunch (vegan option available). The tour is open to everyone, however spots are limited and bookings must be made in advance. To view the full itinerary and to secure your tickets, click here. Mizuhiki is a decorative cord, made from paper, used for gifts. It is like a ribbon for gift wrapping. Create a unique card using this beautiful technique! Fee includes: Instruction, Materials (MIZUHIKI cords, Card stocks, Envelopes and Card Making parts), coffee, tea and biscuits. Please bring your own craft scissors and any card making materials. Places are limited and booking is essential by clicking here. JAFA's Annual General Meeting took place on Wednesday 24 October before our monthly J-Kai, when a large crowd of well wishers joined us to celebrate the achievements of the last 20 years at our Coming of Age Party. For a small organization we've been very active with a record of events that older, larger organizations are envious of. To learn more about our achievements you can read the President's Report by Mike Dunphy by clicking here.